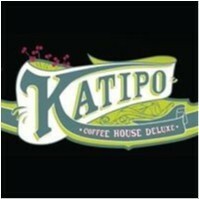 Katipo Coffee House joined our Mission to help provide access to “Clean Water for All by 2030”. This Mission was initiated by the United Nations. A big thank you to Katipo Coffee House’s team and customers for joining this extremely important mission on 13 March 2018. Kickarse cafe, place to chill and killer art space for talented locals to exhibit. A cold beer on a sunny afternoon or a cocktail with your loved ones.